Retail expert Paul Erickson shares why retail metrics are crucial to profitability. Learn why measuring turn, GMROI and margin are critical and how small adjustments can boost your bottom line. 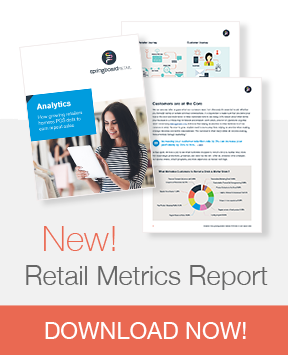 Don't miss this FREE opportunity to fine tune your retail metrics! & gain valuable insight on how to use retail metrics to boost profitability! What gets measured gets changed, and if you don’t measure it, you can’t improve it. Paul Erickson of Management One will present a “how to” webinar on embracing science-based retail productivity measures, including forecasting tools and techniques to maximize financial performance. The presentation will include sharing benchmark data from top performing stores around the country, so you can compare how you are performing against your peers. Not only will key financial concepts be shared — such as inventory turnover, GMROI, and initial markup pricing — but Paul will explain why these metrics are important to your retail business and how to achieve better results in your store! How to price effectively and boost profit.